Extinction - We’ve studied about it from our early years in elementary school and we’ve observed it almost continuously throughout our lives. Growing up in the shadows of the smokestacks of the mammoth Pittsburgh steel industry, it seemed like there could be no end to the dominance of Jones & Laughlin, US Steel, Babcock and Wilcox, and their ilk. But they, and their stacks, and their smoke are seen no more along the rivers of Western Pennsylvania. 78 rpm vinyl records gave way to 45’s. Then LP’s. Then 8-tracks. Then cassettes. Then CD’s. Then mp3’s and other digital downloads. Now, music no longer requires a hard media at all. What became of those who produced the high tech of their day? They adapted, withered, or vanished. And what of Eastman Kodak, Fotomat, and even MySpace? In 2006, MySpace was bought out for $580 million dollars. Then came Facebook. In 2011, MySpace sold for an estimated $35 million. In recent years, having ravaged dozens of stalwart companies and destroyed entire industries, the gods of change began to focus on the publishing industry with one of their favorite weapons, technology. The response from the industry was much like the other dinosaur industries of music and photography…”this too shall pass.” But it didn’t. It isn’t. And it won’t. And so, publishers began to reluctantly adapt to digital technologies, but in essence, their best efforts have been to produce digital photocopies of the paper and ink variety of books. And charging a handsome fee to boot. Most are still missing the landscape of the new technology. And that is...interactivity. With its iPad, Apple redefined the publishing business. The Kindle at that point was a good reader for the digital photocopies of print books that publishers were producing. But Apple laid out a new challenge to publishers to produce eBooks that were beautiful and aesthetic throughout. eBooks where there could be a mix of text, slides, maps, video, audio, - a panorama of media. And the biggest game changer of all, a book experience that is interactive. While 64% of publishers are creating digital books, only 21% are actively creating these “enhanced” eBooks. And maybe the greatest change of perspective needed to avoid extinction will be for the book industry to realize they are no longer in the publishing business, but in the “experience” business. The Wall Street Journal has an excellent article on this phenomenon. The change that is upon us is far more than the digitizing of text to be read on a screen that mimics the page of a hardback book. The entire experience of “reading” is changing. Reading is becoming much more than merely decoding text. Your children and grandchildren will be profoundly affected by these changes in the way they consume knowledge. In the way they learn and think. And we will be as well. What happens to education when the professor can be embedded in the textbook along with discussions among students unlimited by geography, links to other knowledge resources, notes from other readers…? Pretty exciting, eh? It’s big. Perhaps the biggest thing since Gutenberg? This video gives a glimpse of the impact of interactive eBooks on the curriculum of the future. Interesting article over at Anabula.com on using Mind Mapping to re-read a book in less than 15 minutes. Several good links from the article as well. I started using Mindjet's MindManager software a few months ago and really like it. I am going to take a look at iMindMap when I switch over to the new MacBook Pro. Seth Godin has started a new blog following the theme of his new book - All Marketers Are Liars, to be published May, 2005. This should prove to be a site that not only contains some interesting and useful information, but this blog should give us some further insights into the mind of Seth when it comes to launching and marketing a new book. To go to All Marketers Are Liars Blog => click here. To pre-order Seth's new book => click here. It's all about the story, which is similar to what I said recently in this post. Meanwhile, Seth's new blog looks like a lot of interesting fun. He's creating his own story (as are we all). Wonder why he abandoned TypePad in favor of Silkblogs for this new blog?? Seth Godin's eBook is no longer available for free over at changethis.com. But, if you missed out, you can still download it here for free. Enjoy. Bootstrapper's Bible (PDF) <== click there. Permission from Seth at changethis.com - "It's no longer free, but if you downloaded it while it was free, feel free to send it to your friends, print it, or post it online. It's yours." The Bootstrapper's Bible , a new e-Book from Seth Godin is available for free download. You’ll have to get the book to get the other 16 along with the helpful remedies. 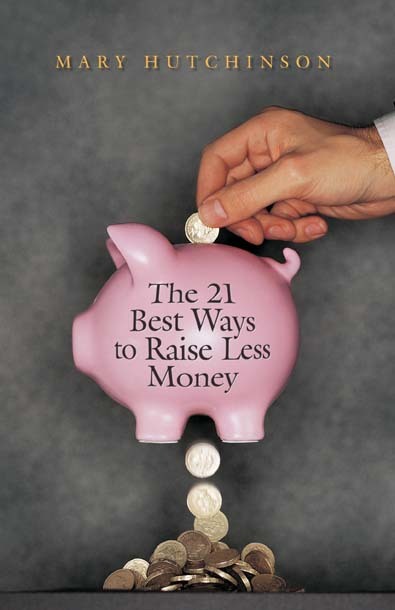 The information in this book can save non-profits a lot of money and perhaps a greater lot of headaches. If you’re doing direct mail, or considering it, you’d be wise to invest in this book. Mary is the President of Creative One in Westford, MA. Contact her if you want to buy the book. I don’t know whether I should talk more about Phil or his book. Phil and I are chums from college days, and there are so-o-o-o many interesting stories I could tell. 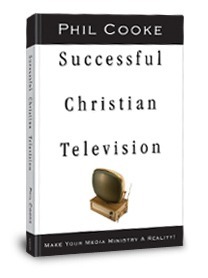 But, my purpose here is a brief review of his new book, Successful Christian Television. In one word this book is – resource. In two words – great resource. Eldredge has made quite an impact with the his books and, like anyone who is going to move the football of progress forward, has also created some controversy. My opinion, his stuff is valid and hard-hitting. Here’s a recent article in Christianity Today. 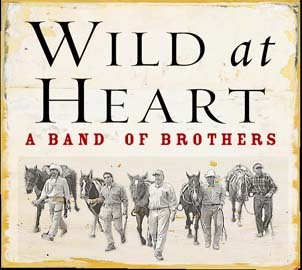 Personally, reading Wild at Heart hit a chord with me like few other books in my life. Eldredge has captured some of the most important issues in a man’s heart and created an excellent resource for groups of men to use on the journey. Of course, as you might expect, some members of the church hierarchy in America aren’t too fond of his work.